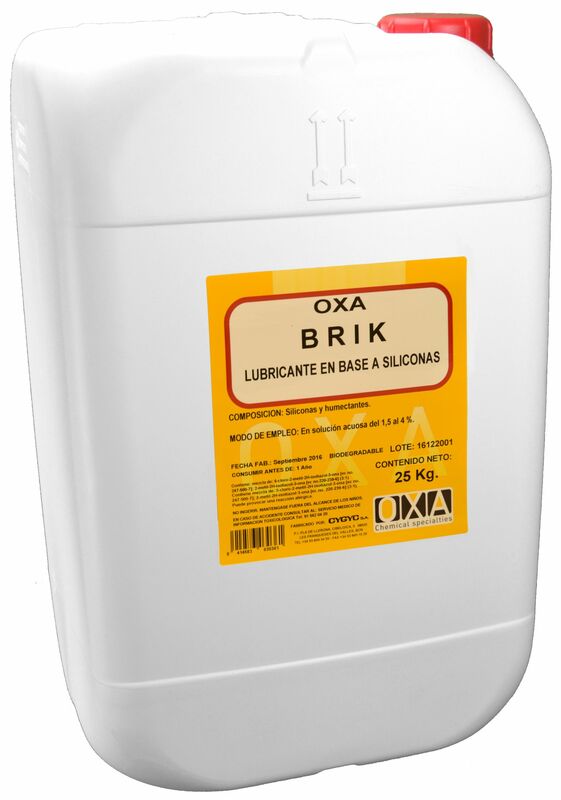 OXA - BRIK emulsion contains silicones and surfactants, having a high lubricity and wetting effect on plastic conveyor belts in the food industry. OXA - BRIK has a zero level of foam in application, eliminating the problem of accumulation of this tape, trays and floors. Sliding lubricant for bottle conveyor chains.